"... Pretty impressed with this. Used it with aminolast as was suggested by the gaspari rep and glad I did. Really has improved my workout recovery and soreness, especially noticable with leg training the next day. I also get good energy, endurance and pumps. I've stopped using a pre-workout, this combo pretty much provides all of that and more." "... So I have been using the Strawberry Kiwi for the past 2 weeks, about 10 workouts in total. First week was one scoop and the second week, this week, was 2 scoops. I did feel it with one, but I would suggest and will be sticking to two scoops. I am 5 foot 10 inches tall and weight 213 at 12% bodyfat. I am actually using it during training as an intra-workout drink mixed with aminolast, from the same brand. I am getting fuller harder pumps, better endurance with my training, the ability to push through more reps before the burn kicks in and have found I am less sore the next day even though I am training harder. Too soon to measure any strength or mass gains but my workouts and recovery are far better then before this stack. Will keep using for the next few months and post a full review for you guys. 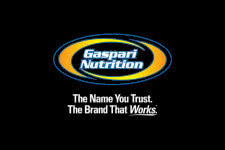 So far, A+"
Take full advantage of this latest fuel from Gaspari to help you with the most intense workouts! 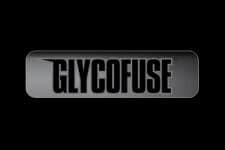 Gaspari sports nutrition has always led by example and paved the way forward with products such as their latest, Glycofuse. fitFLEX has been aware of this development for several years, this supercarb supplement drink is the key to ensuring you have the absolute highest level of performance throughout your training sessions! Carbohydrates have shown time and time again to be the best source of fuel or energy and Gaspari has been able to modify the standard carb to outperform and outlast any other variations today. Using their unique Osm technology to help the gastric passing process as efficient as is possible. 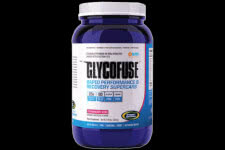 Boost your endurance levels to all new highs through proper glycogen loading for balanced and sustained glucose levels. Gluten and sugar free, it won't bloat you or make you gain fat. Give use your feedback on this latest breakthrough by one of the most reputable brands ever! Powerful New Total Performance Enhancer and Recovery Agent! Contains 25 grams of Branched Cyclic Dextrin per Serving!